For Sister Susan M. Maloney, her family, the Sisters of the Holy Names and personal relationships have shaped her perspectives and commitment to God. Raised in an energetic Italian-Irish Catholic family in Oakland, California, she is the third of six children born to David and Vera (Gaeta) Maloney. At the age of six she had a near-death experience. During this crisis, Vera dedicated Susan’s life to the Blessed Virgin Mary. Family tradition holds that her mother’s prayer was the beginning of Susan’s religious vocation. David, a captain with the Oakland Fire Department and Vera, a graduate of Holy Names High School, sent their five daughters to Holy Names High School and one son to St Mary’s High School. Following graduation, Susan entered the novitiate of the Sisters of the Holy Names. Sister Susan’s years of ministry include teaching, scholarship, spirituality and activism. Teaching is a joy for her. She taught primary grades in California for 10 years, serving at St. Anastasia (Los Angeles), St. Bede (Hayward,) and St. Anne (Santa Monica). For nine years she headed the adult education programs at St. Anthony (San Gabriel). Inspired by the Second Vatican Council and the SNJM commitment – “education in the faith demands of us active involvement in the promotion of justice” – Sister Susan earned a Master’s degree from the University of San Francisco and a Doctorate in Religion and Social Ethics from the University of Southern California. She taught for 30 years at the university level. Susan served as chair of the Master’s Program in Feminist Spirituality at Immaculate Heart College Center in Los Angeles, and initiated two innovative programs: Women Doing Faith-Based Social Analysis, and Women and World Religions. She taught in the Religious Studies and Women’s Studies departments at the University of Redlands. Courses included social ethics, feminist ethics, world religions, feminist theology, and women and religion. During these teaching years, her ability as a writer flourished. Her research contributed to the understanding of the changing role of women in church and society. Her work has been published in the Los Angeles Times, Christian Century, San Jose Mercury, and appeared in magazine articles and as book chapters. One notable example of Susan’s public commitment to social justice and to her writing occurred in the late 1980s. Her Los Angeles Times editorial, “It’s Manipulation of Opinion, Not Justice,” was a public defense of a Catholic churchwoman who was falsely accused by the El Salvadoran military of being complicit in arms trade. Her article was re-published by several news outlets and contributed to the education of the U.S. public on the role of church workers (missionaries) during this civil war. As an invited scholar, Sister Susan has lectured at national and international conferences in the U.S., Korea, the Philippines, Italy and Ireland. Her academic service includes elected board membership to the national and regional levels of the American Academy of Religion. In her 50 years of religious life, she has given service to many SNJM undertakings. She was appointed by the SNJM leadership to be co-coordinator of the Province Justice and Peace Committee. She was also a member for several years of the SNJM Congregational Justice Network. In this capacity, she served on the writing sub-committees for two corporate stands: on Migrants and Refugees, and Against Trafficking in Women and Children. During that period, she participated with UNANIMA International at the United Nations Commission on the Status of Women. As a scholar/activist, Sister Susan collaborated with her graduate students to establish the non-profit Women, Development and Earth Foundation to assist funding women-led projects on the islands of Cebu and Mindanao in the Philippines. For 18 years she and her students raised funds for women to establish micro-lending and sewing projects, educational programs, indigenous farming methods and scholarships for high school and college students. For over 30 years Sister Susan has served as co-leader of the Wholistic Retreat for Women. This annual gathering welcomes women from all religious traditions to explore their spiritual journey with God in a safe and welcoming environment at the Villa Maria del Mar retreat center. The community of women who comprise this retreat have had a profound impact on her personal spiritual life. For Sister Susan, caring for her mother and her dear friend Anita Caspary as they approached their deaths was a profound experience. These extraordinary women taught Susan that death is the entry point to eternal life. 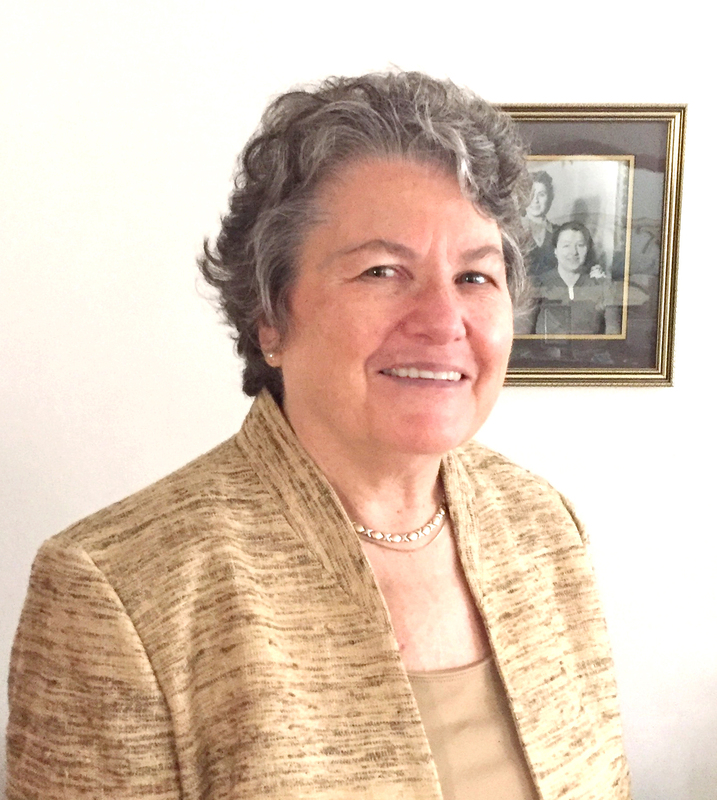 Susan’s friendship with Anita and her role as a literary consultant to her inspires her current writing ministry, a biography of Anita M. Caspary, IHM. She is most grateful for her parents and entire family, her SNJM Sisters, students and friends who have encouraged and loved her these many years as a Sister of the Holy Names of Jesus and Mary.